BentoBox released its 2017 Year in Review, a visual roundup of digital trends surrounding the restaurant industry. 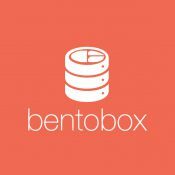 With customers in 47 states and 10 countries worldwide, BentoBox has unique access to restaurant specific data including websites, menus, and guest’s behavior online. The insights were gathered from 1,690 restaurants, with more than 170,000 menu items and 102 million collective website visits. BentoBox's platform offers restaurants an integrated web presence to connect with their guests and drive revenue online. Based in New York City, BentoBox is used by Union Square Hospitality Group, Crafted Hospitality, Luke’s Lobster, The Meatball Shop and more than 1,700 other restaurants internationally.